Aiza was originally featured as our December Nanny of the Month, 2013. Being fast on your feet is an essential quality in any workplace, but especially so in the home. 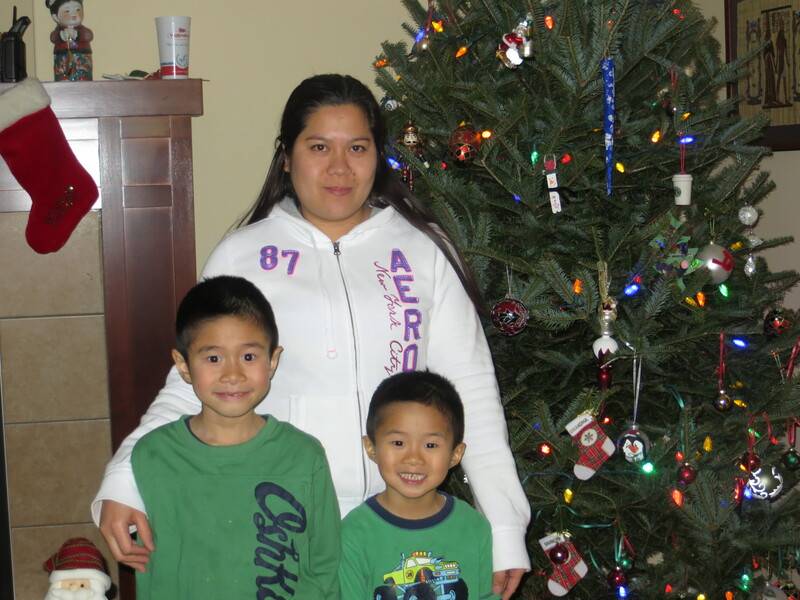 As the nanny to two energetic and lovable boys, Aiza has her work cut out for her in Calgary! Everything she does, she does with a smile. From creating delicious meals to crafts with the boys to bicycle rides around the neighbourhood to helping the youngest learn his ABCs, Aiza accomplishes all of her tasks with a smile and positive attitude. Her energy is boundless, and it is much appreciated by her employers in Canada. Due to the love and attention she showers their sons in and the tireless energy that makes her such a dynamic nanny, Aiza has been nominated by her employers as Diamond’s Nanny of the month! When Aiza arrived to Calgary, she hit the ground running. She not only brought a love of childcare and food into the home, she brought a new light and energy that was appreciated by every member of the family. As a professional nanny, Aiza had many skills to share with her employers but she never thought of herself beyond the need of improvement: Aiza was open to feedback and always happy to learn more. That thirst for knowledge, that willingness to learn and adapt, is a rare attribute that many don’t have. The position with her employers was not just a means to come to Canada – it was an opportunity to learn and evolve as a person. Coming to Canada was the chance for Aiza to challenge herself, explore a new country and to allow herself to develop as a professional. Her dedication and passion as a caregiver have made Aiza an irreplaceable member of her employers’ family, and they are deeply grateful to have her in their lives. Congratulations Aiza on your incredible achievement! Keep up the hard work, we can’t wait to see what amazing things you’ll accomplish here in Canada.